Lance Corporal Larry James Eglinsdoerfer was born on April 8, 1948 to Mr. and Mrs. Edward J. Eglinsdoerfer. Larry is a 1966 graduate of Milan High School located in Milan, Michigan. He was employed by Ford Motor Company at the Saline Plant in Saline, Michigan when he entered the Marine Corps on April 16, 1968. 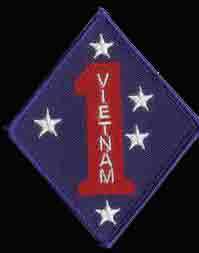 Lance Corporal Eglinsdoerfer began his tour of duty in An Hoa, Quang Nam Province, South Vietnam on October 5, 1968 serving as an Antitank Assaultman with F Company, 2nd Battalion, 5th Marines, 1st Marine Division. According to a posting by Private First Class Michael Ryan, "Eggy had 3 days left. A Sergeant came in the tent and asked for a volunteer to go to the 1st Battalion, 5th Marines bunker line. Eggy said, 'I'm too short! I had just got back from the hospital...second Purple Heart. When the Sergeant convinced Eggy I wasn't in shape for it, Eggy agreed to go. After the Sergeant left I said, 'I'll go Eggy". He looked at me, for the last time and said, peacefully, 'No, I'll go Ryan". Four hours later he was dead. Once when we hadn't been supplied with food for awhile, Eggy shared a tin of jelly with me. Thank you for my life Eggy. Semper FI. Larry was killed on June 7, 1969 when an enemy rocket hit his bunker. Larry James Eglinsdoerfer is survived by his parents, three brothers and four sisters. He lived for 21 years, 1 month and 29 days. He is resting in the York Township Cemetery near his home in Milan, Michigan. Larry's name is listed on the Vietnam Memorial in Ypsilanti Township under Milan. His name also appears on the Vietnam Memorial located in Washington, DC on Panel 23W Linne 099. I remember training, along side Larry. We endured alot of pain and suffering, but it made us better Marines. I was wounded in Jan. 69 and made it out of country. I was with Bravo, Co., 1/7. I never knew where Larry ended up. I'm sorry Larry that you paid the ultimate price. My condolences go out to your family. Semper Fi! The above from thewall-usa.com website link below. As of March 2016 both of Larry's parents were still alive. They met at the bomber plant in Ypsilanti. Larry's mother was a Rosey Riveter. Click here to link to an article on Mlive.com about the Rosey's trip to the WWII Memorial in Washington DC. You'll have to scroll through the slide show to find one of her kissing a youngster on his cheek and another of both parents at Metro Airport when she returned.